Pokémon GO was almost impossibly popular when it launched in summer 2016, but interest has waned since then. Some players came back when the game added gen 2 Pokémon to the mix, and now there will probably be another bump in the number of players. 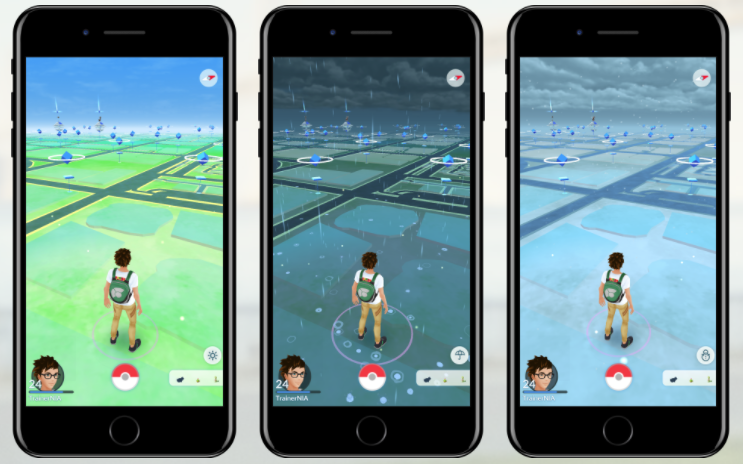 Niantic is rolling out an update today that adds gen 3 Pokémon to the game, as well as dynamic weather conditions that can affect gameplay. According to the announcement post, this week players will start seeing 50 new Pokémon from the Hoenn Region (that's where the gen 3 Pokémon were found, apparently). That's not the full roster—new batches of Pokémon will be rolled out in the coming weeks. This update also brings a rather extensive change to the in-game mechanics. You will begin encountering weather in the game influenced by the weather in real life. It could be rainy, sunny, snowy, foggy, cloudy, or windy. The weather affects what sort of Pokémon you encounter. For example, rainy weather will increase the prevalence of water types. Certain attacks will also be more effective in matching weather conditions. There's a new version of Pokémon GO rolling out today (v0.85.1), but we don't know if this will enable all the new features. It doesn't look different right off the bat, so there might be some server-side components coming online later. You can get the new version on APK Mirror right now.